As we lament the colder months descending on us, we can look forward to one thing that shorter days bring: longer nights. And with those longer nights come the opportunity to see celestial shows all over the world. From the Australian Outback to the American backyards of our National Parks, there is a perfect place for bushwhackers, glampers and scientists to enjoy the night sky. So take a look — and take a trip out of this world! Cherry Spring State Park, Pennsylvania East coasters don’t have to travel far for exquisite night skies. The Cherry Spring State Park is hailed by many to be the best place on the East Coast for stargazing. This remote park has been cultivated to deter light pollution and has a host of viewing benches and telescopes available for public use. Serious stargazers can book an overnight stay on the park grounds for an all-night view. Uluru, Australia If you’re willing to travel for your stars, Uluru, Australia should be high up on your list. Due to its extremely remote location in the Australian outback, Uluru rock is a prime spot to view the glimmering skies. Even on a moonlit night, it's easy spot the Milky Way — no telescope required. 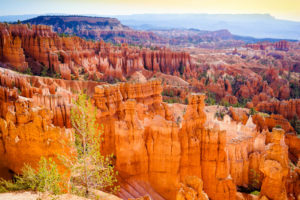 Bryce Canyon National Park, Utah West Coasters can head over to Bryce Canyon National Park, Utah for exquisite stargazing and weekly ranger-led tours of the beauty above. If you’re planning a trip in the summer months, check out the Annual Astronomy Festival, a four-day event which features special events and scientific talks by leaders in the field. Natural Bridges Monument, Utah Also in Utah, the Natural Bridges Monument is a must-see for stargazers. This exquisite monument is certified by the International Dark Sky Association as one of the best parks to see the stars. And with the natural rock formations in the foreground, you’re photos are likely to rival the pages of National Geographic. Joshua Tree National Park, California Though you may be familiar with Joshua Tree National Park as a sunny daytime spot, the lack of light pollution makes for excellent celestial viewing as well. May we suggest the Night Sky Festival at the park, where guided telescope tours and model rocket making are offered. Fairbanks, Alaska If you’re looking to see some fabulous night skies in the cooler months, Fairbanks, Alaska is an excellent choice. The Fall and Winter are the best times to visit Fairbanks as it is the best time of year to see the infamous Aurora Borealis. Pack some hot coco and a thick blanket and you’ll be wowed all night long. SALT Conservatory, South Africa If you really want to get down to the science of the stars, then the SALT Conservatory in South Africa is where you should head. This spot is home to one of the most high-tech telescopes in the world and is primarily a research facility. However, you can book a night tour with one of the conservatory guides and take a look through some of the facilities state of the art telescopes. 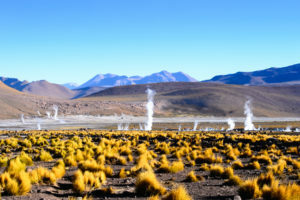 Atacama Desert, Chile One of the undisputed champions of dark sky destinations is the Atacama Desert in Chile. This remote desert is truly a national treasure both during the day and into the night. There are multiple local-led guided tours to choose from, some of which include professional photography because even your iPhone 7 isn’t going to do this sky justice. Bonus Destination Though it may not be the best place to see stars, celestial history runs deep in Arcetri, Tuscany where Galileo made some of his final discoveries before his death. You can grab a bottle of wine and sip in under the Tuscan stars on your own, or head over to the Arcetri Astrophysical Observatory.